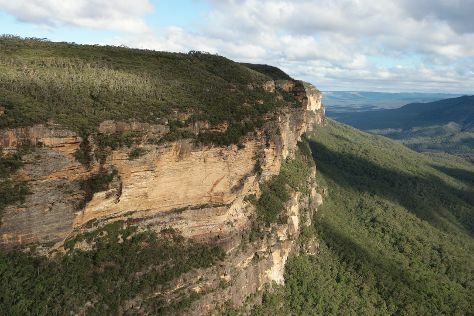 Kick off your visit on the 30th (Tue): stroll through Prince Henry Cliff Walk, then get great views at Pulpit Rock Lookout, then take a peaceful walk through Coachwood Glen Nature Trail, and finally pick up a one of a kind souvenir at Katoomba Antique Centre. For traveler tips, photos, and more tourist information, go to the Katoomba online road trip planner . Amsterdam, The Netherlands to Katoomba is an approximately 28-hour combination of flight and train. You can also do a combination of train and flight. The time zone difference moving from Central European Time to Australian Eastern Standard Time (New South Wales) is 9 hours. In July, Katoomba is little chillier than Amsterdam - with highs of 20°C and lows of 3°C. Wrap up your sightseeing on the 30th (Tue) to allow time to take a bus to Leura. Leura is a suburb in the City of Blue Mountains local government area that is located west of the Sydney central business district in New South Wales, Australia. Kick off your visit on the 31st (Wed): take in nature's colorful creations at Everglades Historic House and Gardens, admire the masterpieces at Norman Lindsay Gallery & Museum, get to know the fascinating history of The National Pass, then make a trip to Sublime Point Lookout, and finally buy something for everyone on your list at Leura Mall. To see maps, ratings, where to stay, and tourist information, refer to the Leura travel planner. Leura is very close to Katoomba. July in Leura sees daily highs of 20°C and lows of 3°C at night. Finish your sightseeing early on the 31st (Wed) so you can drive to Manly. Start off your visit on the 1st (Thu): look for all kinds of wild species at North Head Sanctuary, then see majestic marine mammals with a dolphin and whale watching tour, and then take in the exciting artwork at Aboriginal Fine Art and Craft. 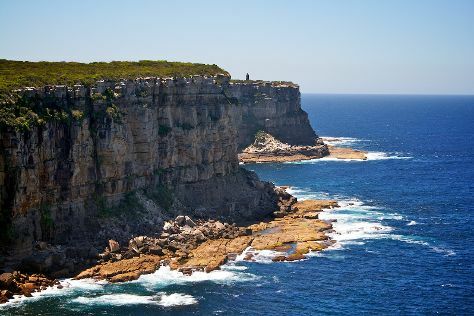 On the 2nd (Fri), you'll have a packed day of sightseeing: contemplate the long history of Vaucluse House, then enjoy the sea views from Barrenjoey Lighthouse, then kick back and relax at Whale Beach, and finally visit a coastal fixture at Macquarie Lighthouse. To see maps, photos, traveler tips, and other tourist information, go to the Manly road trip planning app . Drive from Leura to Manly in 2 hours. Alternatively, you can do a combination of train and ferry; or do a combination of train, bus, and ferry. Plan for a bit warmer nights when traveling from Leura in July since evenings lows in Manly dip to 9°C. Cap off your sightseeing on the 2nd (Fri) early enough to go by car to Pokolbin. Start off your visit on the 3rd (Sat): learn about winemaking at Tamburlaine Organic Wines, tour the pleasant surroundings at Hunter Valley Zoo, then do a tasting at Harkham Wines, then do a tasting at Ivanhoe Wines, and finally do a tasting at First Creek Wines & Winemaking Services. Keep things going the next day: do a tasting at Leogate Estate Wines, do a tasting at Piggs Peake Winery, do a tasting at Petersons Wines Broke Road, then view the masterpieces at Maitland Regional Art Gallery, then learn about winemaking at Ernest Hill Wines, and finally learn about winemaking at Glandore Estate Wines. Before you visit Pokolbin, use our trip planner to discover what you can do and see there. You can drive from Manly to Pokolbin in 2.5 hours. Alternatively, you can do a combination of ferry, train, and taxi; or do a combination of ferry, train, and bus. Traveling from Manly in August, Pokolbin is a bit cooler at night with lows of 7°C. Finish your sightseeing early on the 4th (Sun) to allow enough time to drive to Newcastle. While Newcastle is known for its coal exports, it's also made a name for itself with a cultural boom. On the 5th (Mon), contemplate the long history of Maitland Gaol, see the interesting displays at Fighter World, take in the waterfront at Nobbys Head, then make a trip to Railway Carriage Shed, and finally pause for some serene contemplation at Christ Church Cathedral. On the 6th (Tue), you'll have a packed day of sightseeing: tour the pleasant surroundings at Speers Point Park, then stroll through Merewether Beach, then see the interesting displays at Newcastle Museum, and finally examine the collection at Miss Porter's House. For where to stay, maps, ratings, and tourist information, refer to the Newcastle holiday maker app . Traveling by car from Pokolbin to Newcastle takes an hour. Alternatively, you can do a combination of taxi and train; or take a bus. In August, plan for daily highs up to 22°C, and evening lows to 7°C. Wrap up your sightseeing on the 6th (Tue) early enough to drive to Nelson Bay. Nelson Bay is a suburb of the Port Stephens local government area in the Hunter Region of New South Wales, Australia. Start off your visit on the 7th (Wed): identify plant and animal life at Fly Point, then admire nature's wide array of creatures at Irukandji Shark & Ray Encounters, and then don't miss a visit to Oakvale Wildlife Park. To find more things to do, other places to visit, and other tourist information, read our Nelson Bay trip planner . Drive from Newcastle to Nelson Bay in an hour. Alternatively, you can take a bus. In August, daily temperatures in Nelson Bay can reach 22°C, while at night they dip to 7°C. Wrap up your sightseeing on the 7th (Wed) early enough to travel to Hawks Nest. Hawks Nest is a suburb of the Mid-Coast Council local government area in the Hunter and Mid North Coast regions of New South Wales, Australia, located north of Port Stephens between the Tasman Sea and the Myall River. Kick off your visit on the 8th (Thu): take in the views from Singing Bridge, enjoy the sand and surf at Bennetts Beach, and then identify plant and animal life at Winda Woppa Reserve. To see more things to do, other places to visit, where to stay, and tourist information, read our Hawks Nest trip itinerary builder website . Traveling by car from Nelson Bay to Hawks Nest takes 1.5 hours. In August, plan for daily highs up to 22°C, and evening lows to 7°C. Finish up your sightseeing early on the 8th (Thu) so you can travel to Port Macquarie. Known for its numerous beaches and resident koala population, Port Macquarie offers visitors a welcoming environment in which to unwind. Kick off your visit on the 9th (Fri): make a trip to Hello Koalas Sculpture Trail, see the interesting displays at Port Macquarie Museum, and then examine the collection at Roto House. Get ready for a full day of sightseeing on the 10th (Sat): admire the masterpieces at The Slim Dusty Centre, then take your sightseeing to a higher altitude at North Brother Mountain, and then make a trip to Breakwall Waking Path. Before you visit Port Macquarie, use our trip planner to discover what you can do and see there. Getting from Hawks Nest to Port Macquarie by car takes about 2.5 hours. Traveling from Hawks Nest in August, you will find days in Port Macquarie are little chillier (14°C), and nights are about the same (11°C). Finish up your sightseeing early on the 10th (Sat) so you can go by car to Coffs Harbour. Nestled between the mountains and the ocean, Coffs Harbour is one of the larger cities in New South Wales. Start off your visit on the 11th (Sun): take in nature's colorful creations at North Coast Regional Botanic Garden, then get up close to creatures of the deep with a dolphin and whale watching tour, then step off the mainland to explore Coffs Harbour Muttonbird Island, and finally make a trip to Cunningham’s Big Bunch. Keep things going the next day: view the masterpieces at Bunker Cartoon Gallery, kick back and relax at Coffs Harbour Beach, then grab your bike and head to Coffs Creek Walk and Cycleway, and finally identify plant and animal life at Korora Lookout. To find ratings, other places to visit, more things to do, and other tourist information, use the Coffs Harbour day trip planning site . Traveling by car from Port Macquarie to Coffs Harbour takes 2 hours. Alternatively, you can take a bus. When traveling from Port Macquarie in August, plan for somewhat warmer days in Coffs Harbour, with highs around 23°C, while nights are about the same with lows around 10°C. Finish your sightseeing early on the 12th (Mon) to allow enough time to travel to Toowoomba. Toowoomba is a city in the Darling Downs region in the Australian state of Queensland. Kick off your visit on the 13th (Tue): examine the collection at DownsSteam Tourist Railway & Museum, then take in the architecture and atmosphere at St Luke's Anglican Church, then get engrossed in the history at Highfields Pioneer Village, and finally steep yourself in history at Spring Bluff. To find reviews, where to stay, traveler tips, and more tourist information, refer to the Toowoomba trip planner . You can fly from Coffs Harbour to Toowoomba in 5.5 hours. Other options are to do a combination of flight and bus; or drive. Expect little chillier evenings in Toowoomba when traveling from Coffs Harbour in August, with lows around 3°C. Finish up your sightseeing early on the 13th (Tue) so you can travel back home.